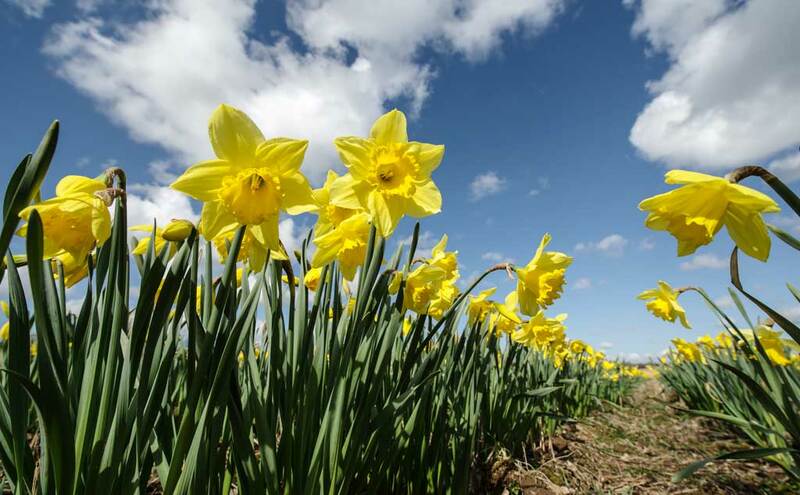 Yeah, we finally got some blue skies over our daffodil fields here at Brooksgrove Farm. We’re busy picking for Easter, but couldn’t resist stopping to take a photo of our ‘Carlton’ daffodils looking magnificent in the Pembrokeshire sunshine. There’s still plenty of time to order for an Easter delivery with free UK postage.